I was told you can keep dill and other herbs in jars in freezer with salt to keep them from your harvest in garden. 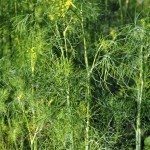 Please tell me the proper way to keep herbs for future use in cooking. Thank you. I will really be happy to get an answer. Yes, you can freeze fresh dill. Wash and dry throughly, then place in freezer bags.